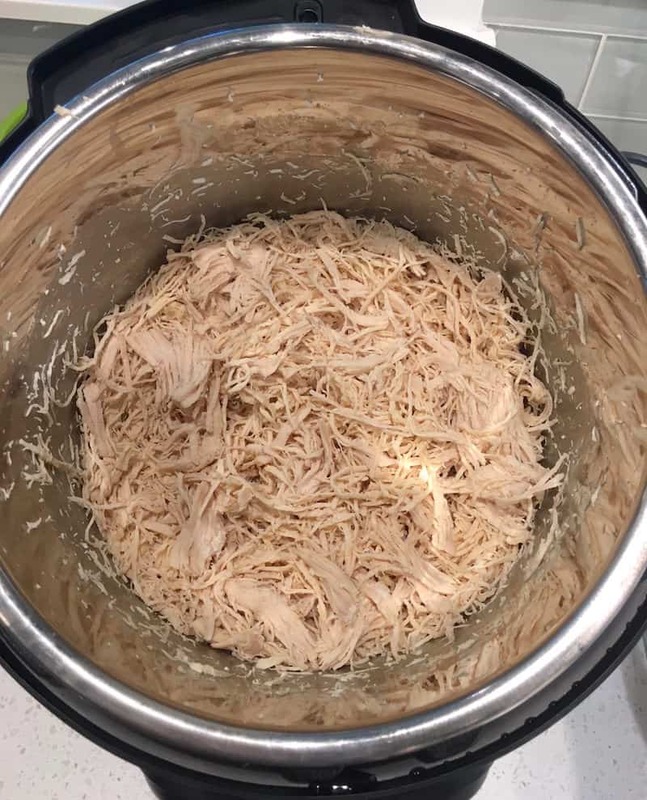 If you’re looking for the EASIEST way to make Instant Pot shredded chicken, this is it! 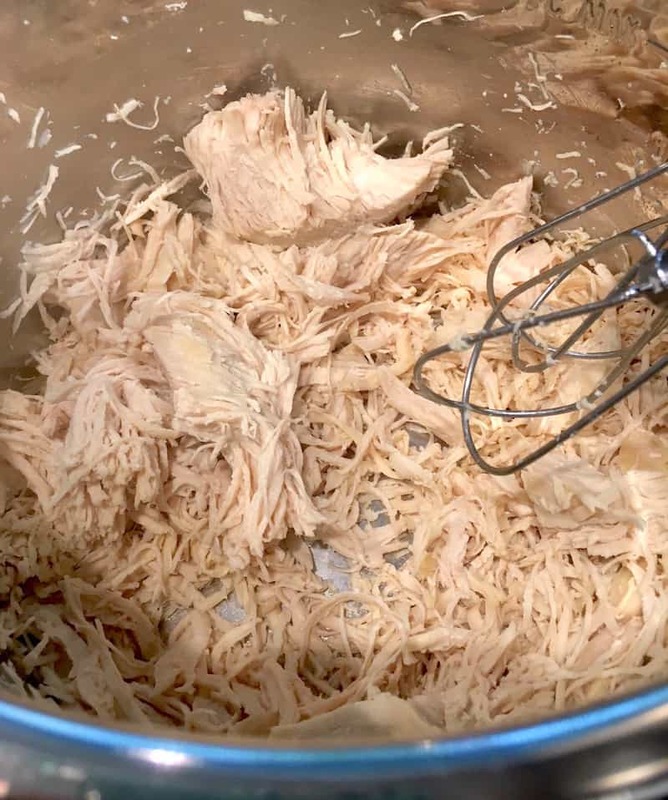 This simple technique will give you shredded chicken for all sorts of recipes. I’m thrilled to share this family recipe for Instant Pot shredded chicken! Mostly because I think many of you will be able to relate to my personal story of being unable to cook chicken breasts properly. No matter how I try, it always seems that no matter what I try in the oven, I don’t get them exactly right. Cooking chicken is like boiling water for some people I suppose, but not for me! And that’s where the Instant Pot shredded chicken comes in. If you want the chicken that turns out perfectly every time . . . the kind that you can use for just about anything including salads, enchiladas, sandwiches and more . . . then you’re going to want to try this Instant Pot shredded chicken! And let me tell you – this is one of easiest Instant Pot recipes ever. No special skills needed! 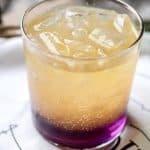 All you need are two ingredients and less than 20 minutes. Once you make this Instant Pot chicken, you’ll realize how versatile it is. You can put it on everything. My favorite use is salads, personally! 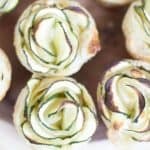 Perfect if you are on Weight Watchers (chicken has zero Freestyle points!) and great for keto and paleo diets. Chicken breast is pretty much great with anything! 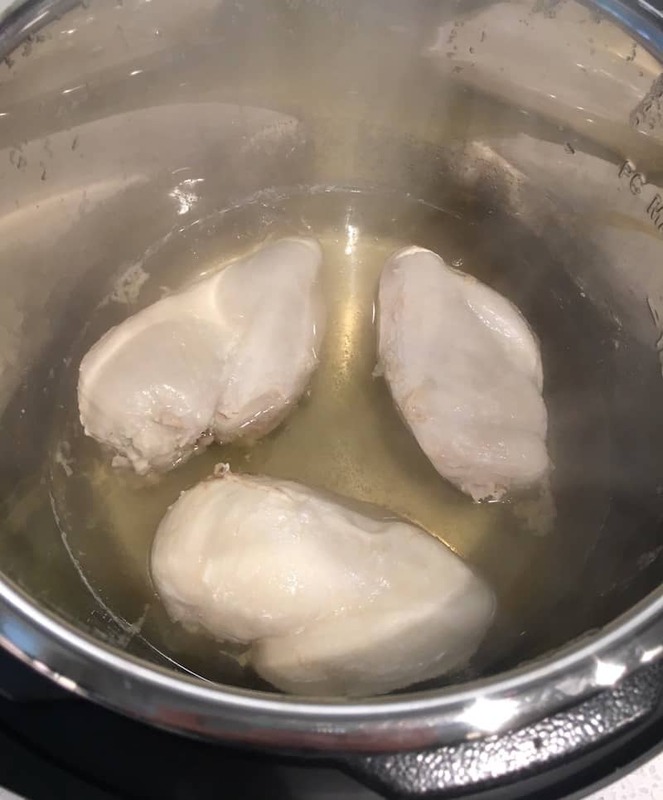 Place the chicken breasts in your Instant Pot with 3/4 cup chicken broth. Press Pressure Cook or Manual – set for 17 minutes. Do a quick or regular pressure release and remove lid. Drain off the liquid (save to use for cooking mashed potatoes or rice). Place the chicken breasts into a separate bowl. Using a hand held mixer on high, shred the chicken. Don’t beat it too much; just enough to shred. Place the chicken in a storage container. You can add a little bit of the liquid you drained to the container and place in the fridge to use over the next 3 to 4 days (or freeze). 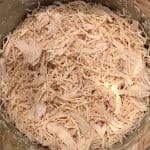 If you're looking for the EASIEST way to make Instant Pot shredded chicken, this is it! 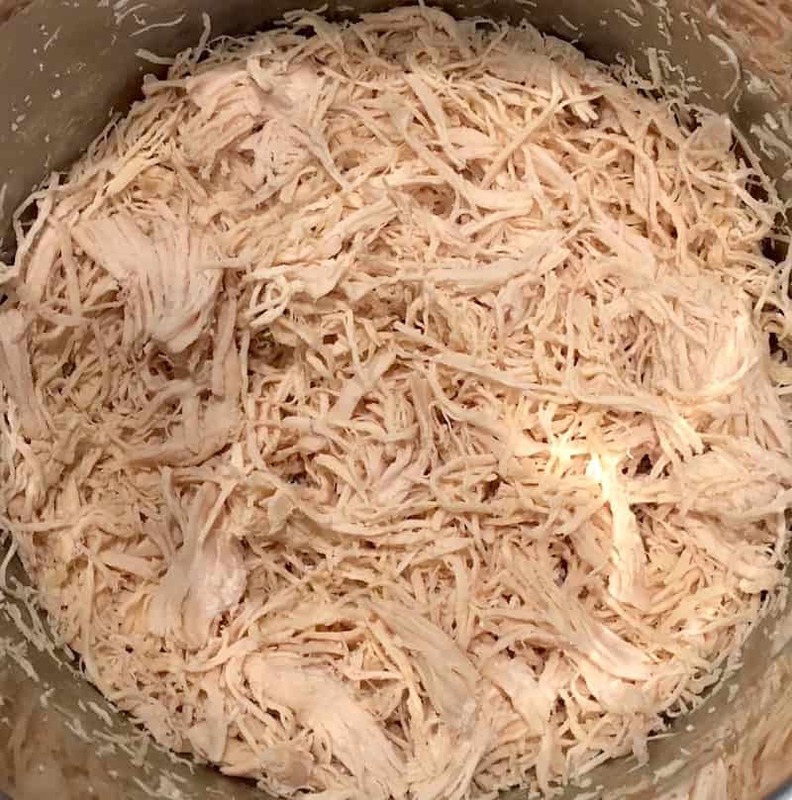 This simple technique will give you shredded chicken for all sorts of recipes. Press Pressure Cook or Manual - set for 17 minutes. Using a hand held mixer on high, shred the chicken. Don't beat it too much; just enough to shred. 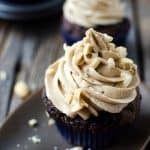 Did you try this Instant Pot recipe? Let me know in the comments! 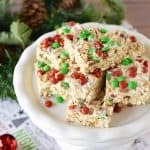 the IP world and am always on the hunt for quick and easy recipies ???? Seriously the best and easiest way to shredded chicken that is moist and tasty! Genius!